A Great Blue Heron is peacefully still against the rush of the James River. Here is another image from earlier this year that I finally got around to working with. This was taken back in May as the river level was returning back to normal after minor flooding. When this image was taken, the river was still a few days from being back to normal levels and the waters were still running fast. 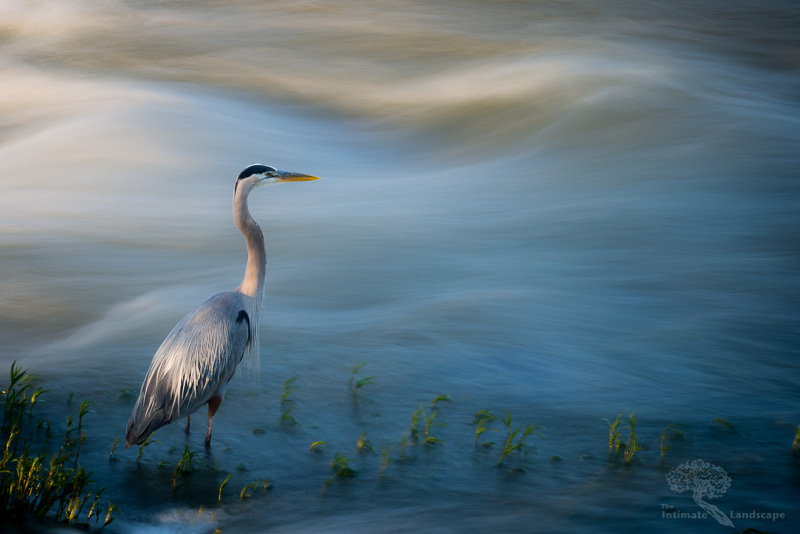 I like this image for the contrast between the rushing waters and the serene stillness of the Heron. Taken with a Nikon D800 and a Nikkor 80-400mm lens. ISO 50, 1.3 seconds at f/22. This entry was posted in James River, Wildlife and tagged Great Blue Heron, James River, water.